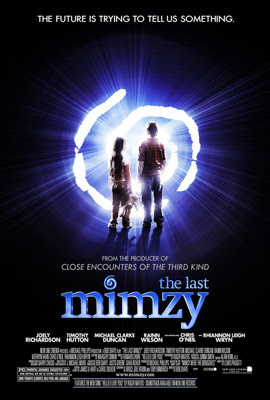 I caught an advance screening of The Last Mimzy (March 23) over the weekend, and was actually rather impressed overall. It's pretty much Donnie Darko for kids, but it's a rare children's film that doesn't insult their intelligence. New Line executive Bob Shaye's direction isn't the best, but the material overcomes his awkward pacing and lack of experience with actors somehow. It's not a great film, but it's a surprisingly good one. It's nice to see a film for kids that doesn't treat them like idiots, portrays them like real kids, and truly appeals to everyone. But Mimzy pulls it off. The plot is full of holes, but the more I think about it the more I like it. It's unique enough and charming enough to be worth it.